Kavi Yogi Swarananda Mani Finger and his son, Alan Finger, created ISHTA Yoga in the late 1960’s in South Africa. Mani was first initiated into Kriya Yoga by Paramhansa Yogananda in Los Angeles, and later as a Kavi yogi by Sivananda in India. Mani subsequently went back to South Africa where he transformed his home into an ashram.Over many years, Mani and Alan hosted many gurus at their house including Swami Venkatesananda (friend of T. Krishnamacharya and Sivananda’s ‘jewel student’), Ramakrishna Mission, Swami Nishraisananda, and Tantric master Shuddhand Bharati, who initiated both Alan and Mani into Tantra.Seeking to integrate and celebrate the different teachings and lineages that passed through their ashram, Mani and Alan created ISHTA Yoga. 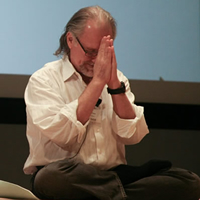 ISHTA aims to give each student an understanding of how to incorporate aspects from various yoga styles and practices in a way that best suits their individual paths.In 1975, after teaching in South Africa for thirteen years, Alan moved to the United States. He settled in Los Angeles and founded the Yoga Tantra Institute. Soon after, he co-founded Yoga Works.In 1993, Alan relocated to New York City and formed the Yoga Zone studios.Yoga Zone became Be Yoga and expanded Alan’s teachings into one of the most successful regional yoga teacher training programs in the country. Coming full circle, in 2004 Be Yoga rejoined the Yoga Works family of studios. As the culmination of his life-long development of ISHTA, Alan and his partners, Julie Wilcox, Sarah Platt, and Bruce Wilcox, are opening the first ISHTA Yoga studio in Manhattan on May 1st, 2008. The studio is located at 56 East 11th Street between Broadway and University Place. The studio will offer classes by ISHTA teachers, ISHTA teacher trainings, ayurvedic treatments, western massage, workshops, and retreats. For the first time ever, all elements of the ISHTA tradition will have a dedicated home.Alan’s Teachers:Paramahansa Yogananda: Author of Autobiography of a Yogi, Yogananada was Mani Finger’s introduction into yoga, his foremost teacher and his initiator into kriya yoga.Swami Nishraisananda: A scientist and engineer turned yogi and disciple of the Ramakrishna Mission, Nishraisananda’s understanding of the links between spiritual yogic concepts and modern science is a foundation of ISHTA’s conviction that we are only now beginning to understand in a ’scientific’ perspective the physical and energetic effects of yoga, which ancient yogis intuitively understood thousands of years ago.Swami Venkatesananda: A friend of T. Krishnamacharya and a leading student of Sivananda’s. ‘Venkatesananda wrote many books on yoga, and with Kavi Yogiraj Mani Finger they wrote a book on Laya yoga together. Venkatesananda, along with Mani, initiated Alan into Yogiraj. Venkates stayed with Mani and Alan for several weeks each year.Shuddhanand Bharati: A Tantric master, he initiated both Alan and Mani into Tantra and was the driving force behind the systematization of ISHTA as a system of yoga. This profound technique creates a balance between the right and left sides of the brain. This Yogi is not a member of any group.